During the summer, we visited the world famous Beamish open air museum, it was amazing and well worth a visit. 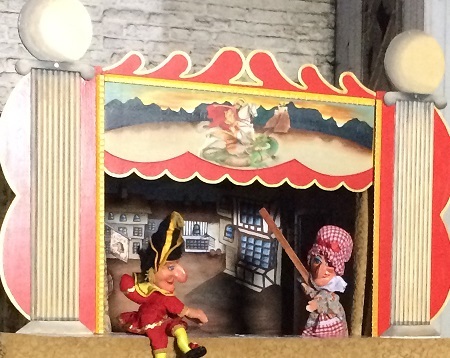 We had a wonderful couple of days there and I drew inspiration from their Edwardian Fair event where they had a Punch and Judy Puppet show for all the children. I took a few photos on which to base my design. 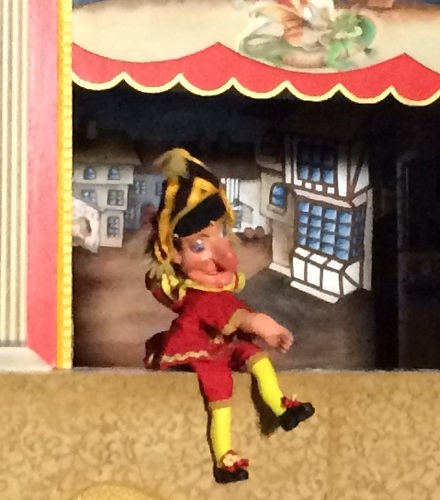 What I really loved in the show was Mr Punch, the crocodile and the string of sausages. 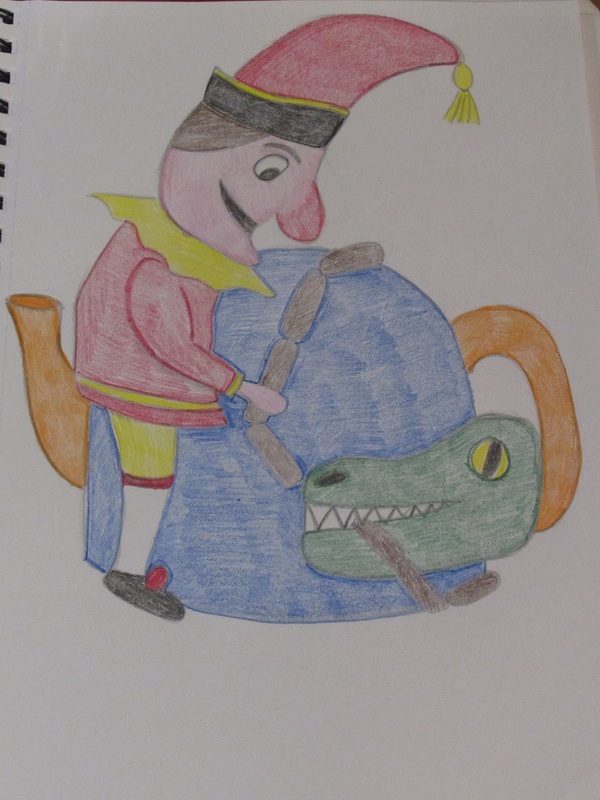 Just a comic moment when Mr Punch and the reptile have a tug of war with them. I wanted to make a summery tea cosy, because we are just hanging on to what is left of the summer now, before heading into colder times. I thought it might keep the warm glow of summer going for a little longer. 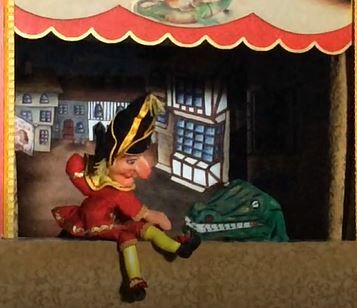 I have designed the cosy on a plain blue background, but traditionally you see a punch and Judy show at a seaside venue, so I want to make the cosy feel a bit more nautical, so I shall give the main cosy some sailor stripes.